RAWIllumination.net: What's next for Hilaritas? 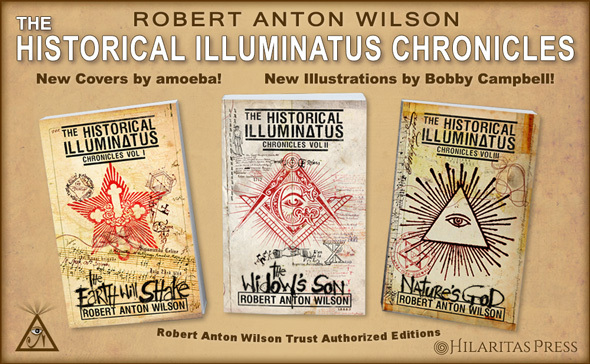 With the release of the three "Historical Illuminatus Chronicles" books by Hilaritas Press, the publishing imprint of the Robert Anton Wilson Trust, I thought it might be interesting to take a quick look at how they've done so far, and what's up next. I've boldfaced the books that have come out so far, and as you can see, Rasa is making good progress. I'm excited to see that Cosmic Trigger II: Down to Earth is coming up next, as it's a particular favorite of mine. As you can see, definitive editions of some quite interesting books will be out soon.